The latest and greatest updates from IBM Cloud Platform where our customers are empowered by many cloud native capabilities. One stop shop where you can check in for useful links, events, webinar information, videos and many other IBM Cloud Platform resources. We will be turning on permanent redirects from bluemix.net to cloud.ibm.com on 27th April 2019. All of the same functionality that existed on bluemix.net is still available in cloud.ibm.com and you don’t have to take any action to get access to the new console. The new, 2nd-Gen Intel® Xeon® Scalable Processors (formerly code-named “Cascade Lake”) are available in monthly Bare Metal servers in IBM Cloud DCs around the globe. 2nd-Gen Intel Xeon Scalable Processors will help our enterprise clients migrate performance-heavy workloads to the cloud. IBM Cloud was awarded the 2018 Global VMware Partner Innovation Award for the Integrate Public Cloud category at VMware Partnership Leadership Summit. With RiskForesight, IBM Cloud customers can maintain visibility, mitigate risks proactively, and reduce their overall cost of achieving a secure and compliant operation. Natively, Kubernetes is self-healing container orchestration platform that will detect failures from your pods and redeploy that workload. Kubernetes Service is a self-healing cluster management platform that will automatically recover a failed worker node within your cluster. New features and fixes in version 2.1.17 of the IBM Cloud Developer Tools CLI. Aspera Delivers next-generation transport technologies that move the world’s digital assets at maximum speed, regardless of content/data type or size, transfer distance or network conditions. Perfect for: High Speed File Transfer, Enterprise File Sync & Share, DR and Migration. Getting started with application development for a blockchain use case can be daunting. Let's change that together! We’re delighted to announce the availability of our new COS Regional service in Sydney Australia. The new Regional service offers customers the option to store data within the Sydney region for in-country data sovereignty while taking advantage of our low-cost, durable object storage. We are thrilled to announce two very exciting enhancements - ”Range” and “Edge Functions”—to Cloud Internet Services (CIS). CIS is IBM Cloud‘s go-to security, reliability, and performance solution for your client’s Internet-facing endpoints, applications, and APIs. Announcing the GA of Databases for MongoDB in Dallas, Frankfurt, London, Oslo, Sydney, Tokyo, and Washington DC. This DBaaS product is fully managed, highly available and built from the ground up with security in mind. It is scalable, cost-efficient, and readily usable for application development. We are excited to announce the upcoming availability of Bare Metal & VSI powered by new Cascade Lake family of Intel Xeon Scalable Processors - Intel’s next generation of compute microarchitecture will deliver the increased performance required by enterprises’ most demanding HPC & AI workloads. To help clients succeed in today’s hybrid, multicloud reality, the IBM Cloud and Power Systems teams are bringing the POWER9 platform to the cloud with the new Power Systems Virtual Server on IBM Cloud - available in selected IBM Cloud DCs spring 2019. Announcing the global availability of VMware vSAN ReadyNode™ certified servers. ReadyNode certified servers have been pre-configured and tested and provide the most flexible server options to build Hyper-Converged Infrastructure based on VMware vSAN. Data Shield, powered by Fortanix, provides data-in-use protection for your container workloads running on the Kubernetes Service. It leverages Intel® Software Guard Extensions (SGX) technology to run code and data in CPU-hardened “enclaves” or a Trusted Execution Environment (TEE). We are excited to announce the availability of Kubernetes v1.13.2 for your clusters that are running in Kubernetes Service. 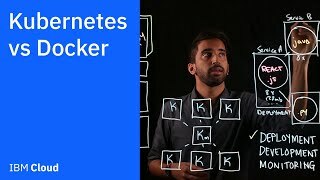 With the Kubernetes service, you can easily upgrade your clusters without the need for deep Kubernetes knowledge. Details: Join IBM team to create in the Cloud, innovate with IoT, break down barriers with Blockchain, and solve the unsolvable with Quantum. It was exciting news when CRN, a brand of The Channel Company, recognised IBM's Cloud Object Storage with the 2018 CRN Tech Innovator Award. 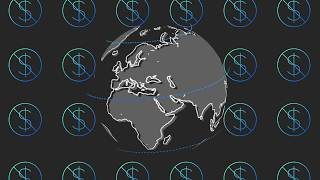 We are excited to announce the expansion of the following services into the IBM Cloud regions of Sydney, London, and Washington D.C. Databases for Elasticsearch, Databases for etcd, Databases for PostgreSQL, Databases for Redis, Messages for RabbitMQ. 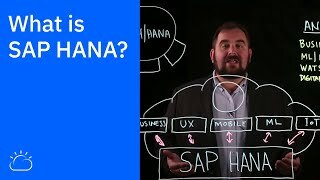 VIDEO: Do you have a cloud designed for data? If you’re looking to globally deploy and balance your workloads, you need IBM Cloud. With data centers in multiple countries and on several continents, our network is built to perform. We provide control, security and scalability in all our centers. IBM has worked with Portworx, to offer a Kubernetes storage and data management solution that is designed to take advantage of network-attached block storage as well as new software-defined-storage-enabled bare metal servers. We are excited to announce IBM Cloud Monitoring with Sysdig, powered by Sysdig in partnership with IBM, a fully managed enterprise-grade monitoring service for application visibility, alerting, and troubleshooting. Security Advisor enables centralized security management through a unified dashboard that alerts security admins to issues and helps them understand, prioritize, manage, and resolve the issues related to their cloud applications and workloads. Lift CLI makes it easy to quickly, securely and reliably migrate large data sets from your on-premises database or data source to one of our cloud data properties. Lift provides ultra-high-speed data movement to the cloud with embedded Aspera’s FASP® transfer technology. We are excited to announce the general availability (GA) of Cloud Object Storage (COS) Archive. At $0.002 per gigabyte per month, Cloud Object Storage Archive is an extremely low-cost, scalable, secure, and durable solution designed for long-term data archival, backup, and disaster recovery. These DB-as-a-Service products are fully managed, highly available, and built from the ground up with enterprise security in mind. These services are scalable, cost-efficient, and readily usable for enterprise application development. We are pleased to announce the general availability of the Juniper vSRX Network Gateway Appliance. The Juniper vSRX Gateway offers the power of Juniper’s physical SRX appliance with the added flexibility of a virtualized deployment on the IBM Cloud. Announcing the global availability of the custom domains feature for lightweight API management service. API management team launched the ability to attach a custom domain to your APIs. 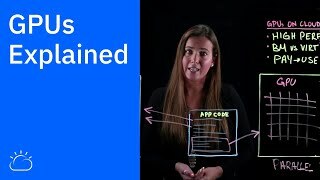 These APIs can be built using Cloud Functions, App Connect, or an API proxy. 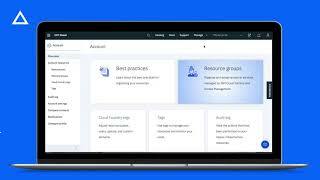 Key Protect is an encryption key management service that offers a simple and economical solution for managing keys that are used to encrypt applications and data-at-rest in IBM Cloud. It manages the entire life-cycle of keys. iPerf is a simple, open source, command-line, network diagnostic tool that you install on two endpoints which can run on Linux, BSD, or Windows platforms. One side runs in a “server” mode, listening for requests; the other end runs “client” mode, sending data. BLOG: DevOps Insights is Live! DevOps Insights is generally available, with new service plans in the US South, United Kingdom, and Germany regions. 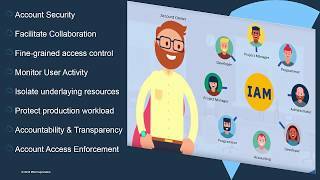 IBM Cloud DevOps Insights provides comprehensive visibility of data across your DevOps tools to increase speed with quality and control. We’re very excited to announce that IBM Cloud Functions is now also available in our Washington DC/US-East region. If you’re looking to lower storage costs by compressing your data and get better query performance when querying the data stored in COS, you might have considered how to convert your data into Parquet. 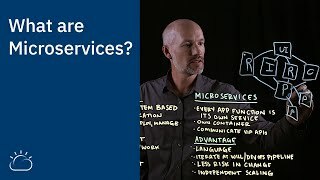 We show how different IBM Cloud services work together to apply end-to-end security to your applications. In the tutorial, we use the following IBM Cloud services: Activity Tracker, Key Protect, Object Storage, App ID, Container Registry. Komprise Intelligent Data Management and Cloud Object Storage provide a simple, frictionless solution for you to scale your NAS capacity and leverage your existing storage investment while lowering your overall costs. Streamline NAS with Cloud Object Storage and Komprise. 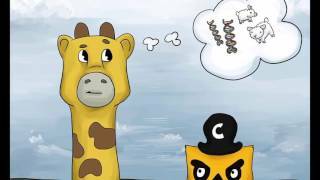 COS can be the more scalable, cost-effective alternative to legacy file storage. But it needs a file system to exploit these advantages. The Nasuni UniFS global file system bridges file storage and COS, with capabilities that enable COS to be used for all NAS, file server, and archiving workloads. Trust and Transparency capabilities work with models built from a wide variety of machine learning frameworks and AI-build environments such as Watson, Tensorflow, SparkML, AWS SageMaker, and AzureML. PC Magazine test and compare five of the top Infrastructure-as-a-Service (IaaS) solutions that can help you move your business' servers, switches, storage arrays, and more to the cloud. Read more in PC Magazine. This offering allows users to create and manage isolated Cloud Foundry environments for hosting applications exclusively for their organizations. It provides on-demand self-service provisioning, elastic consumption, and complete access to administrative capabilities. Certificate Manager is a service to help developers and security admins manage SSL/TLS certificates for your Cloud apps and services. Upload your SSL/TLS certificates and associated private keys to Certificate Manager to store them securely. We are excited to announce the limited availability of VMware vCloud Availability for vCloud Director, a disaster recovery solution based on a consumption model that reduces costs significantly and allows you to utilize familiar VMware tooling. Hyper Protect DBaaS Experimental has a new addition to the databases it can support - PostgreSQL. PostgreSQL is an open-source object-relational database system that uses SQL language and myriad features that safely store and scale all kinds of data workloads. Multi-zone Region (MZR) is now live and ready for business. Customers can begin experiencing IBM Cloud’s differentiated approach, which is focused on delivering enterprise capabilities built from the ground up with resilient, HA, and high speed capabilities accessible across multiple geographies. 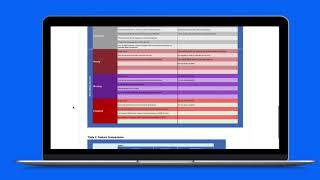 IBM Cloud Platform Cast, coming to you every show with information about new capabilities and releases on IBM Cloud. Learn how to explore options for Cloud Object Storage (COS) by quickly modifying an app written for Amazon S3 & porting it to COS. Store, manage, and access your data through a self-service portal & RESTful APIs. 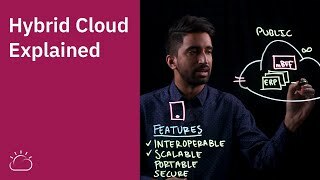 Connect applications directly to object storage & integrate IBM Cloud services. 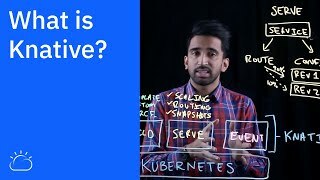 Knative provides serverless capabilities with a Kubernetes-native foundation and broadens the spectrum of applications that can take advantage of the real-time cloud access, minimal infrastructure concerns and scale that serverless architectures offer. 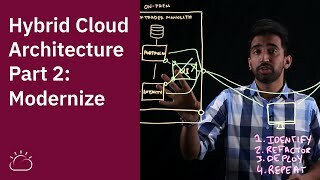 In this third part of a four-part series on Operationalizing SQL Query, we’ll take a look at using IBM Cloud Object Storage to access data from multiple microservices and perform some simple queries using IBM SQL Query. Part 1 and Part 2 of this series are available if you need to get up to speed. In collaboration with Google Cloud, Red Hat and the open community, we’re announcing the release of Istio 1.0, the latest and most stable version yet of the project that is positioning itself to become the de facto way to connect, manage and secure microservices. MQ on IBM Cloud will be automatically upgrading queue managers to v9.1 on September 11, 2018, but you can upgrade your service instance manually by following the steps here. We’re continuously developing and improving the service in all aspects, and this version is no different. 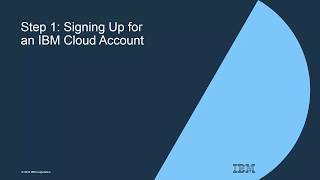 Starting in mid-July, we rolled out integrations with IBM Cloud resource groups and provided customers with the ability to leverage IBM Cloud Identity and Access Management (IAM) to improve authentication against Cloudant and logical organization of Cloudant instances. The safest copy is an offline copy. In this article, we’ll cover how to backup entire partitions in Linux systems. The process utilizes the tar command in IBM Cloud’s unique rescue environment and showcases the simplicity and flexibility of the process. IBM Cloud recently released three new SAP-certified bare metal configurations based on the Intel Skylake processor (see table below). All three configurations are fully certified by SAP for all production and non-production SAP HANA workloads. We’ve announced the availability of NetApp ONTAP Select monthly configurations across IBM Cloud data centers worldwide. 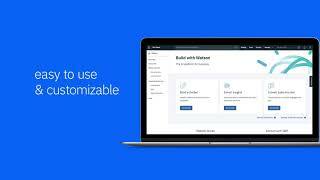 The new service integration helps enterprise customers more easily consume and customize dedicated, highly available software-defined storage (SDS) solutions in the IBM Cloud. We now support Domain Validated Subject Alternative Names (DVSAN) HTTPS certificates within our Content Delivery Network offering, powered by Akamai. With this new feature, users can now securely deliver content using their own domain names rather than using wildcard certificates. With your application deployed in multiple zones within a region, the next level is to deploy your application to multiple regions. With this approach, you can sustain a region failure & you could reduce network latency by redirecting users to the closest region where your application is deployed. The IBM Cloud Content Delivery Network (CDN) service, powered by Akamai, provides an ideal solution in this scenario. How does CDN help? Effectively, you have a username and password that is separate to everything else that you have, which you need to remember. Identity Federation alleviates the need to remember a separate username and password by using another Identity Provider to authenticate you. IBM Cloud Internet Services (CIS) Standard GA release provides the core features, including DNS, Distributed Denial of Service (DDoS) Protection, Global Load Balancing (GLB) with geo-steering, caching with Page Rules, TLS/SSL Certificate, and a Web Application Firewall (WAF). IBM has announced a major expansion of capabilities on IBM Cloud, as well our strategy to expand our cloud’s global reach, unlocking the cloud for more parts of the globe than ever before. 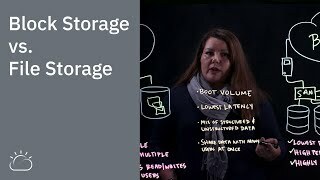 Many customers don’t know that IBM Cloud can be used for workloads that need multi-vaulting backup services. Multi-vault capabilities were recently added to the IBM EVault Disk to Disk Enterprise Backup add-on for IBM Cloud virtual and bare metal servers. It’s time we all spread the word. Using the latest Gemalto SafeNet HSM technology, Cloud HSM is a dedicated, single-tenant hardware appliance that safeguards & manages sensitive digital cryptographic key information by storing, protecting & managing cryptographic keys in a hardened FIPS-validated, private-network-attached appliance. Intel Software Guard Extensions (SGX) is a technology that can protect data-in-use through hardware-based server security. Intel SGX lets application developers protect select code and data from disclosure or modification. IBM Cloud Platform added support for Multi-Factor Authentication (MFA). This adds an extra layer of security to users’ accounts by requiring all users to provide a time-based one-time passcode in addition to their standard IBMid and password when logging in. We’ve been seeing a tremendous amount of excitement, especially with the integration of IaaS (aka SoftLayer) & PaaS (aka Bluemix) under one brand - IBM Cloud. The changes we’re making are a part of our ongoing journey to improve the customer support experience. Multiple environments are pretty common - how could we automate the creation of these environments? What tools could we use? 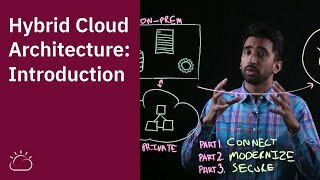 We have added a new tutorial to the IBM Cloud Docs using tools like IBM Cloud CLI and Terraform to automatically provision resources. We have just published a technical white paper about building user authentication into your apps using IBM Cloud App ID. If you are deciding how to secure your applications with user authentication, this white paper provides a guide to the App ID service, and how to leverage it’s capabilities. Where you can explore IBM products at your own pace. More and more contents will be created and added in due course. Each product has 3 demo assets: 1. Demo videos for a quick glance, 2. Guided demo for a short test drive, and 3. Full product access with tutorial for a deeper dive. Cloud services, particularly infrastructure- and platform-as-a-service, are well established, but in some cases customers demand more - more control, more access to hardware, more performance, and the ability to pick their own operating environment. Read more in NetworkWorld. Over the course of the last few years, Cloudflare built a global network of data center locations and partnerships to expand its DDoS protection, security tools and website acceleration services. Read more in TechCrunch. Previously, IBM Cloud Identity Access and Management (IAM) required access policies to be set for individual users and service IDs. Now with access groups, you can organize users and service IDs into a group and manage access by assigning policies to the group. We are excited to announce that SQL Query is now publicly available in the IBM Cloud as a beta service. SQL Query supports using standard ANSI SQL to analyze CSV, Parquet, and JSON files stored in IBM Cloud Object Storage. We’re excited to bring Aporeto’s capabilities to IBM Cloud Container Service, providing choice and flexibility to our users. Aporeto is a Zero Trust security solution for microservices, containers and cloud. IBM is previewing the new Aspera high-speed transfer option, with which IBM Cloud Object Storage users have reported moving data to the IBM Cloud at online transfer rates hundreds of times faster than standard http/ftp, with no charge for ingest. 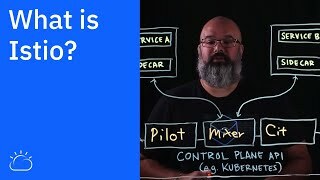 IBM became the first major cloud provider to enable developers and data science teams to create and run Kubernetes containers as a managed service directly on bare metal cloud infrastructure. At the Open Source Leadership Summit, the Cloud Native Computing Foundation (CNCF), which sustains and integrates open-source, cloud native technologies such as Prometheus and containerd, and Google Cloud announced that Kubernetes is the first project to graduate from the CNCF. Read more in ZDNet. IBM has expanded its software-defined storage offerings, including the cloud-enabled Spectrum Protect Plus which clones and recovers important data, can run on IBM Cloud during the storage provisioning process. 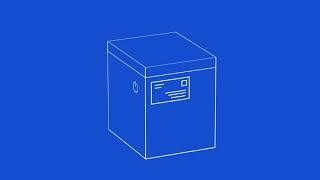 Beyond that, IBM Cloud Object Storage now can support HDDs of up to 12 terabytes. The need for a business continuity strategy to ensure up-time, minimize data loss, and maximize productivity in the midst of any compromising situation is a necessary digital assurance policy for any company. BLOG: Are you bringing your own encryption keys? Almost 85% of professionals in an Intel Security survey reported storing some or all of their sensitive data in the public cloud. In such situations, app data needs to be encrypted at all times to protect against unauthorized access by both outsiders & insiders. You can equip individual IBM Cloud bare metal servers with up to two NVIDIA Tesla V100 PCIe GPU accelerators — NVIDIA’s latest, fastest and most advanced GPU architecture. Docker and Kubernetes are two of the hottest technologies in the world of IT. 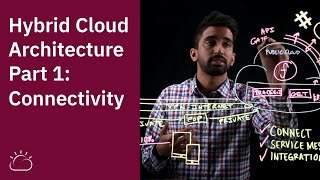 This tutorial will get you up and running with both technologies in the IBM Cloud. Best of all, you can do everything here in your free IBM Cloud Lite account. 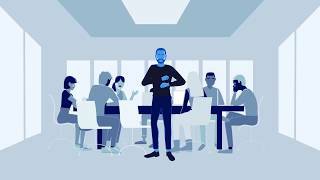 VMware HCX allows you to securely connect on-premise workloads to the IBM Cloud and seamlessly extend your data center with unified management. BLOG: VMware HCX on IBM Cloud (aka “really cool space age kind of IT”) – now available! HCX allows customers to easily build an abstraction layer between their data center on-premises and IBM Cloud. 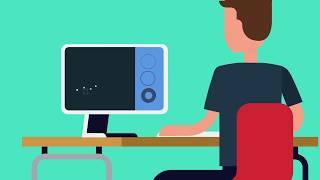 Once tethered together, customers will be able to stretch networks securely across HCX interconnect enabling seamless mobility of virtual workloads to IBM Cloud. To maximize your user experience, we’ve upgraded our post-installation script system. This updated system changes how the post-installation scripts are executed on your devices during provisioning. Docker Enterprise Edition (Docker EE) is a Container-as-a-Service platform for IT that manages and secures diverse applications across disparate infrastructure. Block and file storage customers can now expand an existing volume at 1GB increments up to 12TB—no duplicate volume creations or side host migrations necessary. Expanded volumes are available in minutes, and replica volume updates are automatic. We’re pleased to announce that our new FortiGate Security Appliance 10Gbps firewall offering is now generally available. With this offering we bring an industry leading, next generation firewall appliance as a service into IBM Cloud. F5’s BIG-IP platform is available as part of VMware Solutions on IBM Cloud. Enterprise customers that are using VMware and F5’s BIG-IP can now replicate their application high availability, security, and access postures on a global scale. 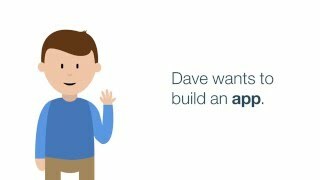 What if you had unlimited time to tap into a growing ecosystem of AI-infused services and runtimes to build your apps? And what if you could do it at no cost? We’re making that possible. We are excited to announce the IBM Cloud Lite account – a free account that never expires. Ever. Seriously. 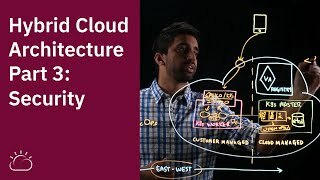 Our network infrastructure services offered on IBM Cloud are another example of how we’re making use of cloud native services to deliver a significantly improved user experience. As part of an overall initiative to build out state-of-the-art “as-a-Service” capabilities. We’ve partnered with Akamai to create one of the world’s fastest and most reliable CDN. Now that Akamai is integrated into IBM Cloud, you can take advantage of superior web and mobile performance and video delivery solutions. IBM Cloud Security Groups are a set of IP filter rules (five-tuple rules: source & destination IP, source & destination port, and protocol) that define how to handle incoming (ingress) and outgoing (egress) traffic to both the public and private interfaces of a virtual server instance. Looking to improve uptime of your applications deployed in cloud? 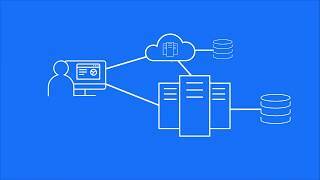 With the new IBM Load Balancer service, achieve intelligent distribution of your traffic load, monitor your application servers health, and offload SSL processing tasks - all with built-in service reliability.